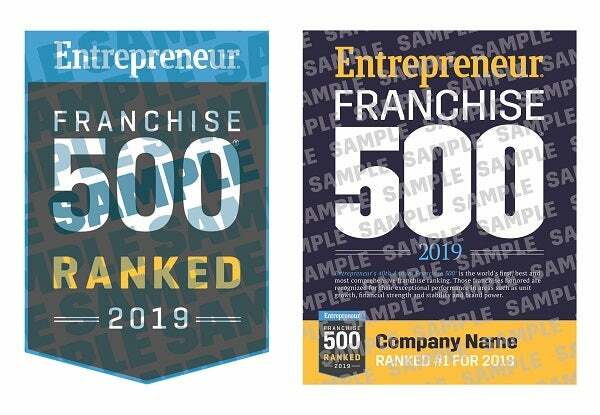 Congratulations on your placement on Entrepreneur magazine’s 40th Annual Franchise 500®, the world's first, best and most comprehensive franchise ranking. We are honored to spotlight your company as one of the year’s top franchises, and we encourage you to share this recognition with your franchisees, employees and customers. Below are custom tools exclusively for 2019 Franchise 500® ranked franchises. Your placement on the list distinguishes your company and is worthy of promotion to new prospects and partners to help in the continued growth of your business. To help you maximize the value of this award, we offer a full suite of specialty marketing and communications tools. Visit www.entrepreneurreprints.com/franchise-500 or call the official reprints and licensing provider for Entrepreneur, PARS International Corp. at (212) 221-9595 ext. 145 to learn about all available offerings. Leverage your new status into your next news story. Customize the press release template provided or create your own (referencing the provided communications guide) and get the coverage you deserve.